As Vice President of Construction and Development, PJ oversees active construction projects and potential development opportunities. This includes management oversight, capital planning, forecasting, budgeting, scheduling and the overall repositioning of assets. Additionally, he works alongside the acquisitions team to collectively determine viable investment opportunities; and with the leasing team assessing requirements of new leases. Prior to joining Brixton, PJ was the Senior Project Manager for Dempsey Construction, Inc. He has an in-depth background and understanding of the building industry and construction details through his 13+ year tenure in the business. 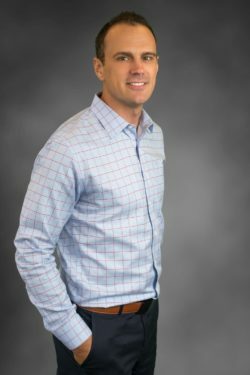 Before joining Dempsey Construction, PJ worked for the Lusardi Construction Co. and built an impressive resume of projects throughout the United States totaling over 1.2 million Square Feet of commercial improvements that amount to over $170 million of in-place work. PJ graduated from Pittsburg State University with a Bachelor of Science in Technology – Construction Management and Minor in Business Administration. Contact PJ at (858) 683-7100 or pprellwitz@brixtoncapital.com .